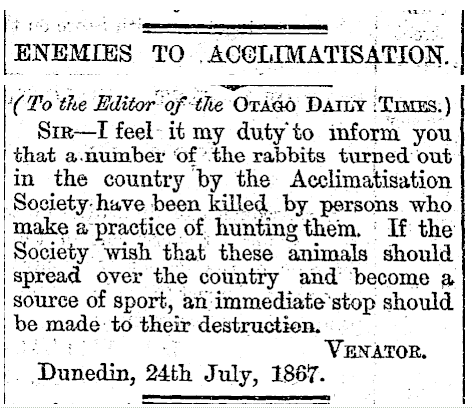 While on a hunt for early accounts of acclimatisation societies in New Zealand, I found this gem – a letter to the editor of the Otago Daily Times in 1867. Venator is the Latin word for hunter. Paul. How times have changed, indeed! Thank you to Paul Star and Ken Sims for the meaning of ‘venator’.